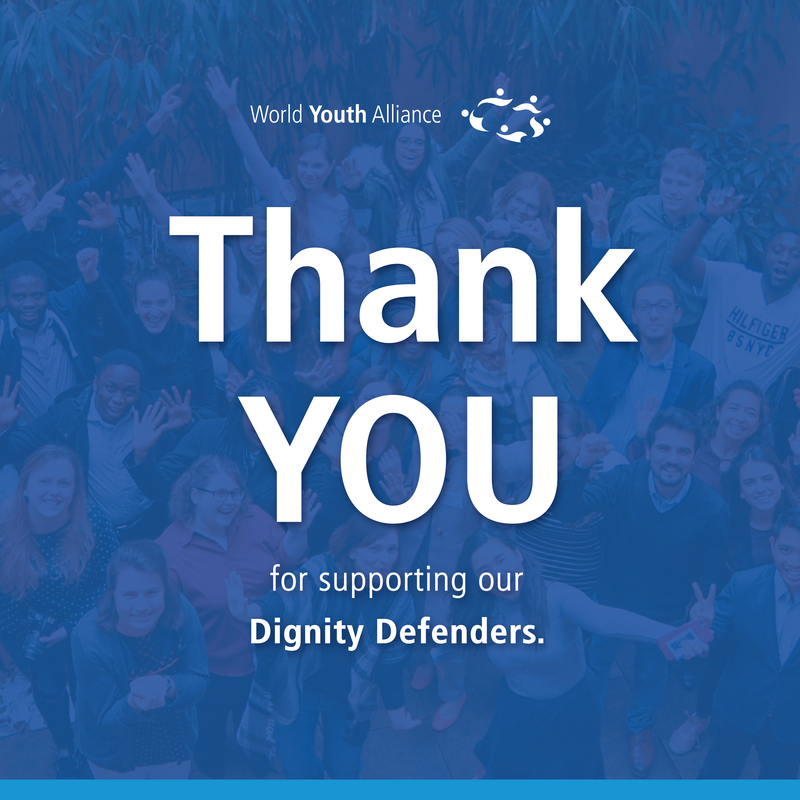 World Youth Alliance | A Big WYA Thank You for a Great Giving Tuesday! A Big WYA Thank You for a Great Giving Tuesday! Last Nov. 27, 2018, WYA was able to raise over $7,000 for Giving Tuesday. With a goal of $5,000, we were able to surpass this even before #GivingTuesday began! This would not be possible without your help. We warmly send our gratitude to all of our donors around the world who continue to believe and support WYA’s mission. If you missed the matching grant last Giving Tuesday, don’t worry! We continue to welcome donations. Give WYA a yearend gift this December by clicking here! Happy Holidays from your WYA family! The World Youth Alliance is a 501(c)(3) nonprofit organization. World Youth Alliance Europe is co-funded by the Erasmus+ Programme of the European Union. World Youth Alliance and the WYA Logo are registered trademarks of WYA Foundation, Inc. No claim is made to the exclusive right to use “Alliance” apart from the mark as shown.